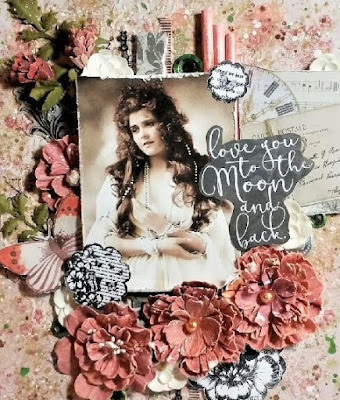 Blank Page Muse: To the Moon..How to Create your own ephemera using Sin City Stamps! To the Moon..How to Create your own ephemera using Sin City Stamps! 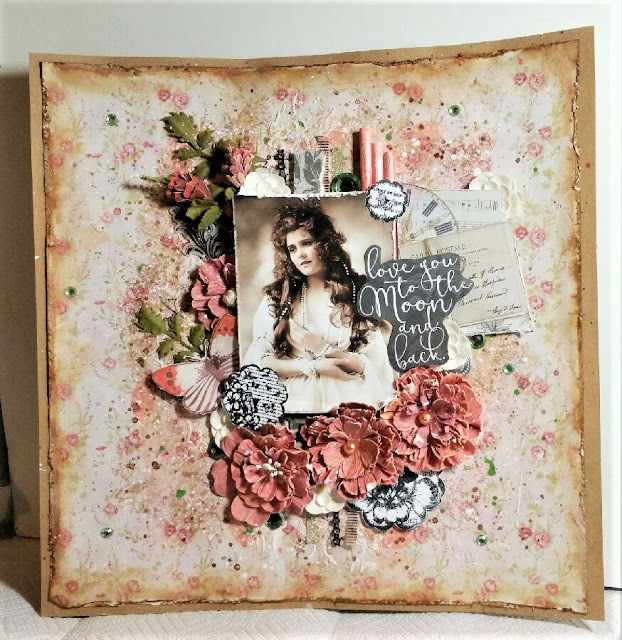 Today I have a romantic layout created with Sin City Stamps to share with you. 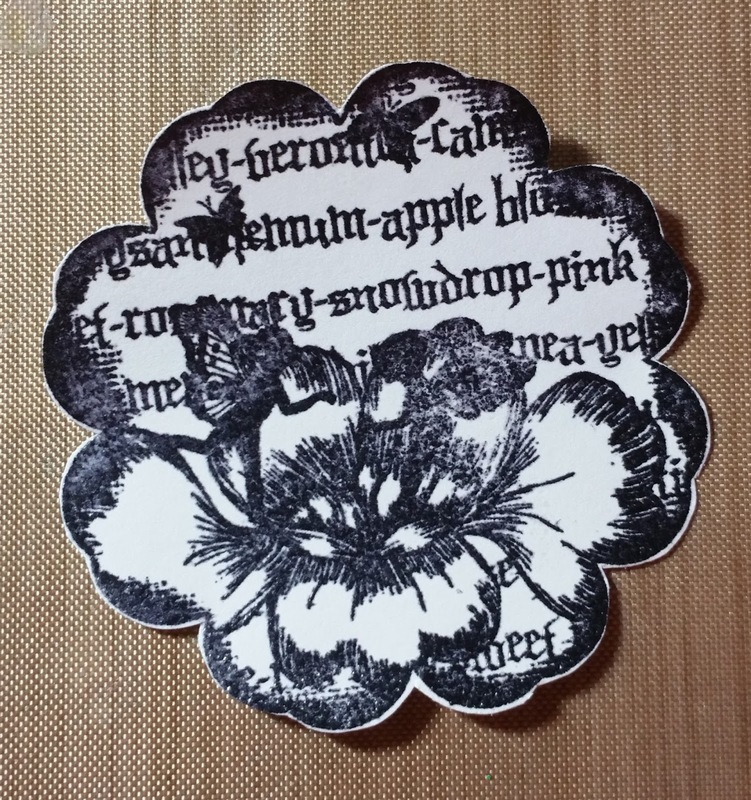 The Sin City Stamps used here are from The beautiful Fairies and Blossoms 2 set. 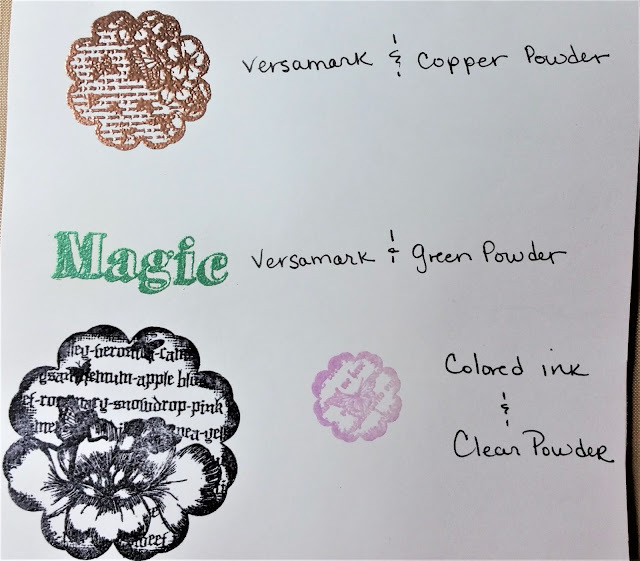 One of the coolest techniques you can do with stamps is using them as ephemera. 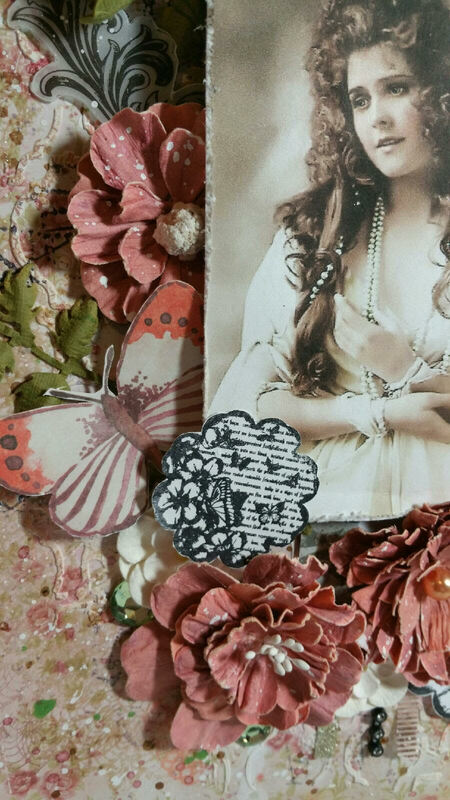 There are only a few steps to do this and in the end you have beautiful ephemera to embellish your projects! Sin City Stamps are great for this because the detail is extraordinary! 1. 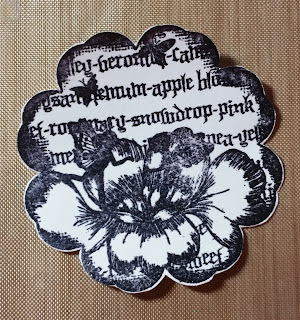 Stamp chosen images in either black or any color of your choice. 2. Use clear embossing powder and heat to seal the image. Colored ink other than black with clear embossing powder. See photo example below. 3. Fussy cut your image and there you have it! A beautiful piece of ephemera! 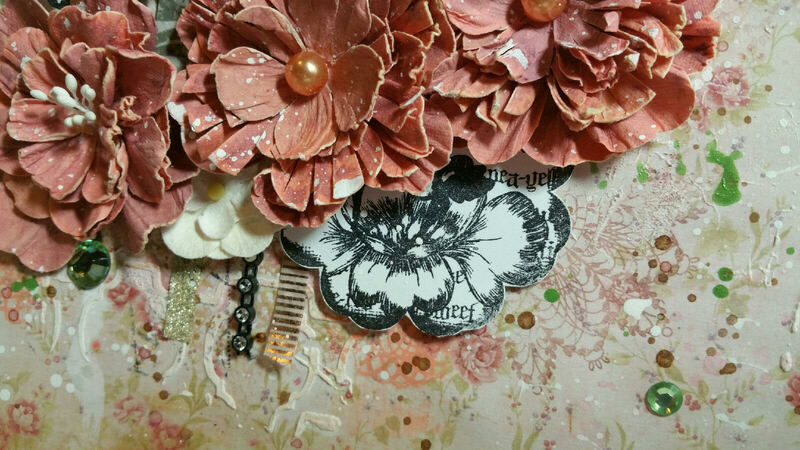 **Tip** for a stronger piece adhere your stamped cardstock to a thicker paper or chipboard before fussy cutting. 4. Adhere to your project. To add pops of interest to your projects, slip these pieces under flowers or adhere on top! 1.Start with a 12x12 sheet of kraft cardstock. 2. Using a 12x12 sheet of patterned cardstock, cut down to 11x11 and adhere to kraft cardstock. 3. 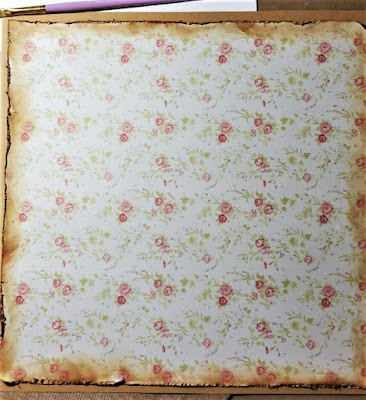 Use a distressing tool to tatter edges to create a bit more of a vintage look. DO not worry if you tear in spots, it just adds to the look. 4. Lightly add a tea colored distress ink around outside. 5. 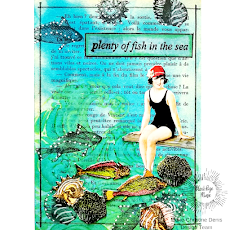 Use a stencil and texture paste and apply to layout for your background. 6. Stamp in complimentary colors randomly in an oval shape. This will be your focal area. 7. Splatter paint ink randomly in complimentary colors. 8. Build your focal area using scraps of paper, paper straws, pre-made stamped embellishments from above tutorial, and flowers. 9. 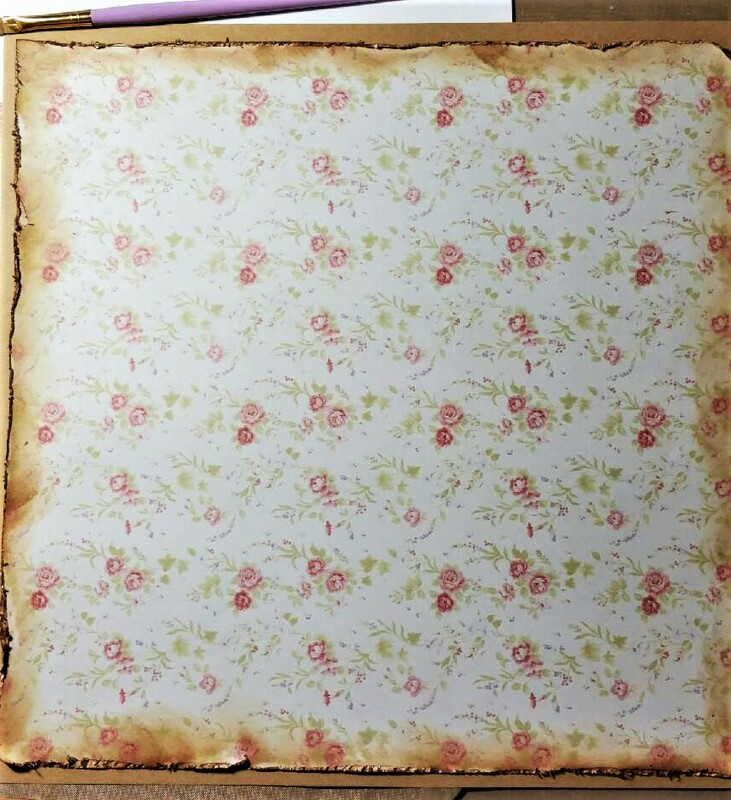 Add some splatters of white gesso on entire layout with a piece of paper covering your focal photo. 10. Add sentiment such as the to the moon one pictured. 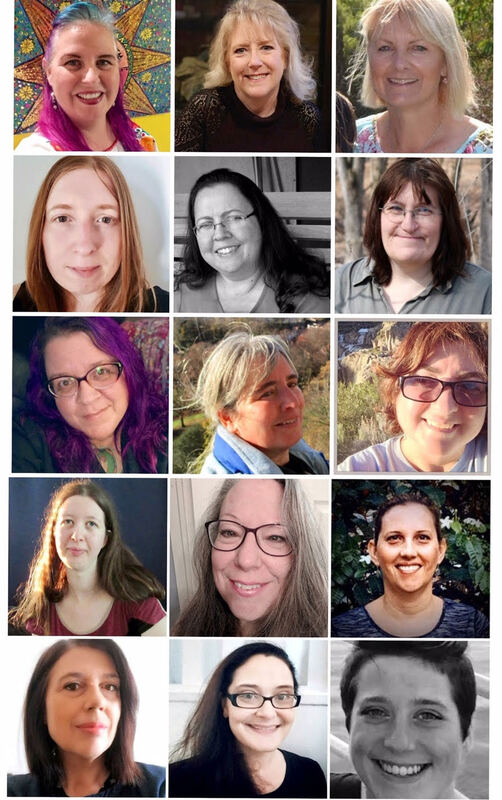 Thanks so much for joining me! I hope that you are inspired by this and it helps you create some beautiful embellishments! Please join us on our Facebook at Sin City Stamps Fan page and share your creations with us!